Before we can properly ring in 2012 and fully embrace the months that lie ahead, we wanted to take you on a journey back through 2011 with our annual Year in Review package. With so much negativity dominating the headlines, we always reserve this time each year to reflect back on the positive news that made our pages. 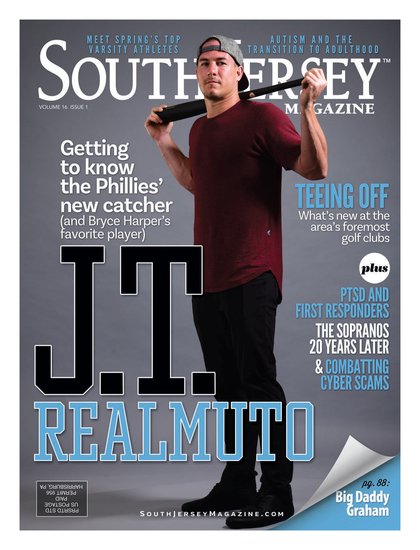 The year was certainly filled with plenty of memorable moments here at South Jersey Magazine. The release of each issue had us brimming with excitement as we delivered our loyal readers and advertisers the most relevant, cutting edge, premier publication in the area. We pride ourselves on consistently exceeding expectations and raising the bar with each passing month. Thanks to our dedicated staff, we were able to not only cover the neighborhoods that make our community so great, but we brought some pretty big names along for the ride: Dr. Jill Biden, Ruben Amaro Jr., Michael Vick, Chris Matthews, Wolfgang Puck, Piper Perabo, Larry King, M. Night Shyamalan, Amos Lee, Robert Irvine, Orel Hershiser, James van Riemsdyk, Bobby Flay, Pat Croce, Carl Lewis and Seth Meyers are just some of the high-profile names we covered in 2011. It seems everywhere I turn of late, folks are finding new ways to tell me just how much they enjoy reading each month. While on my honeymoon in Playa del Carmen this past June, my wife and I even met a wonderful couple from Marlton who claim to never miss an issue. It’s that type of encouragement that has us striving for even bigger and better things in 2012, and trust us; we think you’re going to like what you see. In this issue, you’ll find a recap and updates on all the top stories from 2011, as well as an easy-reference roundup of our Best of the Best, Top Physicians, Top Dentists, Awesome Attorneys and Best of Home and Garden lists. You’ll also hear from several local leaders in business and government, who offer their predictions for what lies ahead. Thanks for another great year!